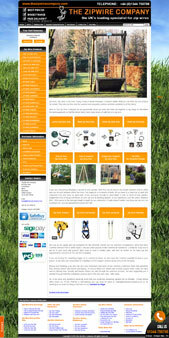 Luxury Garden Gazebos is a retailer of high quality luxury garden wooden gazebos and gazebo accessories. Each of the gazebos in the Luxury Garden Gazebo range can be personalised by adding a variety of coloured canopy and side panels, screens, lights and heating, to fulfill your requirements in creating a perfect outdoor space for your garden, patio or hot tub area. GoKarts4u have put together a fantastic range of pedal go karts for all the family to enjoy. From the traditional original wooden go kart, to the very strong and superbly constructed pedal go karts from DINO and BERG, two of the world's largest manufacturers of go-karts, they can offer you a go kart to suit everyone's requirements. Supplier of purpose built outdoor weatherproof TV display screens built to withstand tropical humidity, desert heat and even arctic weather conditions. 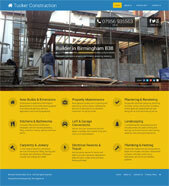 Tucker Construction operate as a regional construction company, and property repair specialists, based in Birmingham (B38), West Midlands. 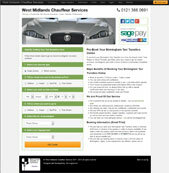 Their dedicated and experienced team deliver a high standard of craftsmanship at a competitive price. 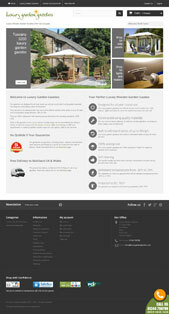 Whatever your building requirements, we can meet them on time and within your budget. Estepona Marina Properties offers Property Sales, Holiday Rentals & Property Management around Estepona and the Marina area, with an on-line rental booking system enabling customers to secure their ideal holiday property directly on the web site. Liquid Luxury is a UK based internet business that specialises in selling and the supply of the best in Arabian and French luxury fragrance for Men and Women at highly competitive prices. Hand in Glove is an on-line magazine, It is a scrapbook of nostalgic memories and artefacts, a sound board to voice anger against anything that irritates or annoys, a vehicle to showcase the talent that is inherent in us all. The Zip Wire Company are passionate about zip wires and have put together a big range of affordable kits and equipment so that the whole family have many hours of safe fun on a zip wire. 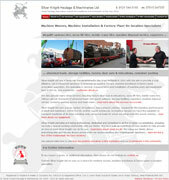 Silver Knight Ltd are a family run firm established in the West Midlands in 2005 with the aim to provide a cost effective, yet professional service to businesses as machine movers, machine installation & factory plant re-location specialists. they specialise in removal, transportation and installation of machine plant and equipment here in the UK, and worldwide. 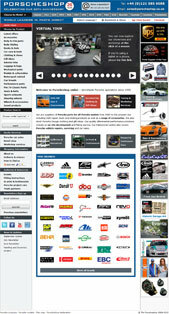 Porscheshop stock and supply parts, products and accessories for all Porsche models from 1965 to the present day.